Art and D.I.D – D.I.D I say crazy ? Ok it’s probably old news for a lot of people but I love what Toby Allen does. 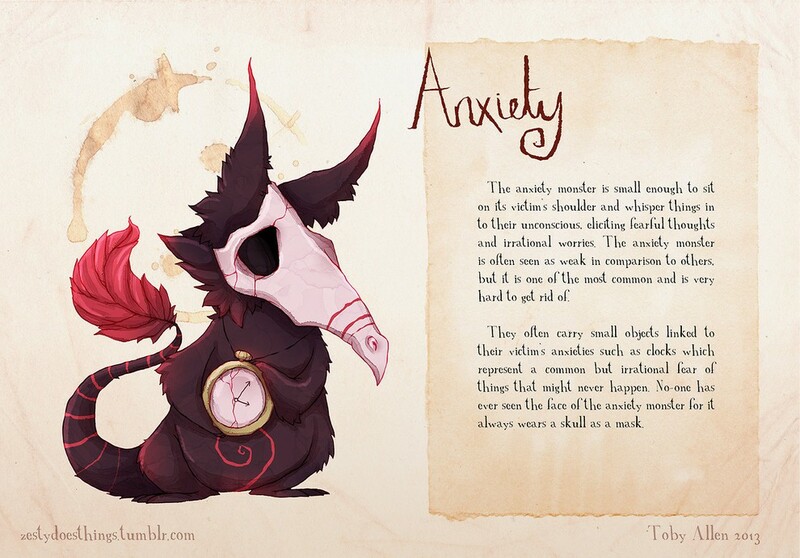 His “monsters” have been created to demystified mental illnesses. I think they are also a good way to explain a specific mental illness to someone else. 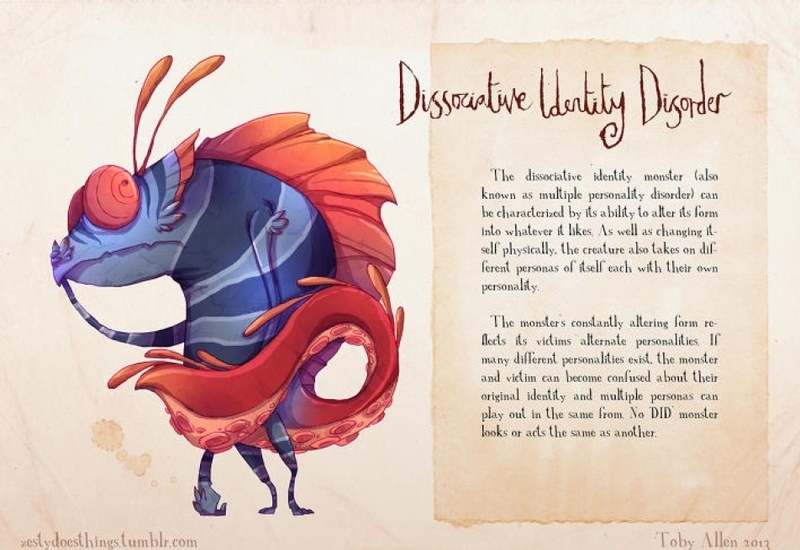 Those monsters live inside some of us, they are invisible but are present all the time and represent the challenges that living with mental illness are. Those monsters can be intimidated but taken care of can be controlled or even disappear. 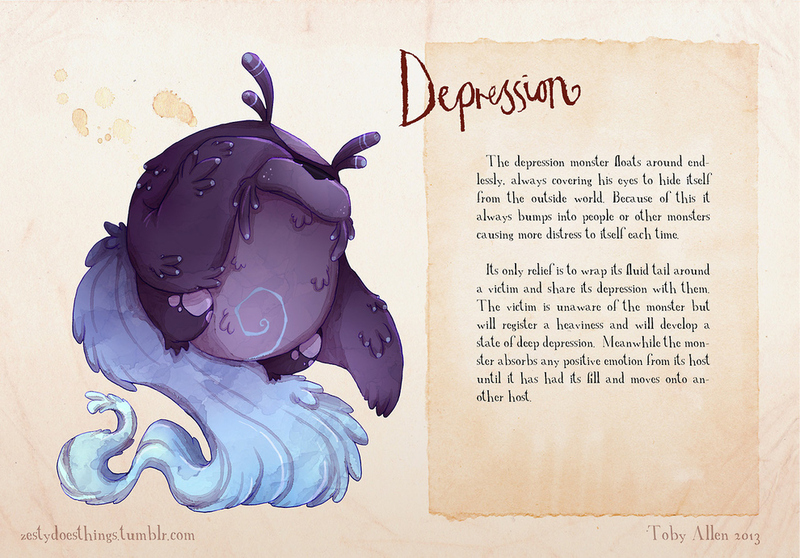 Remember that mental illness doesn’t need to be a burden or a monster, things can be changed.